1. 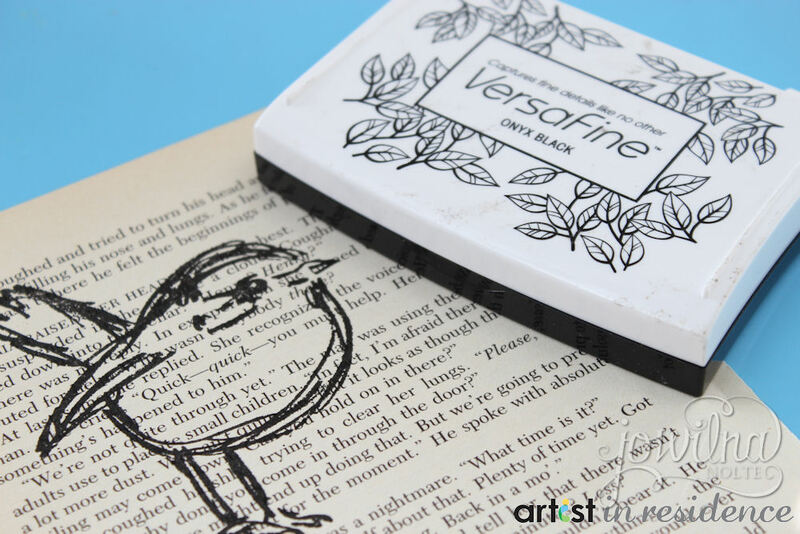 Stamp the image onto old book paper using Versafine Onyx Black ink. 2. 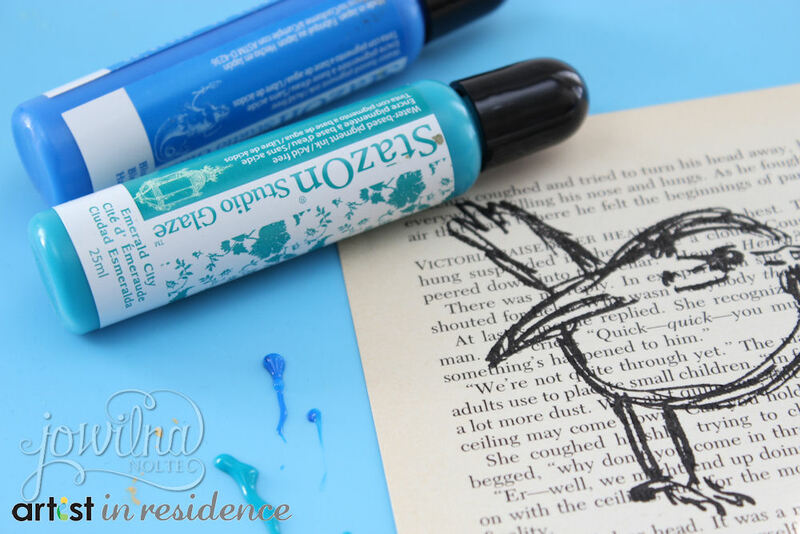 Squeeze a small amount of Emerald City Glaze and Blue Hawaii onto your craft mat. 3. 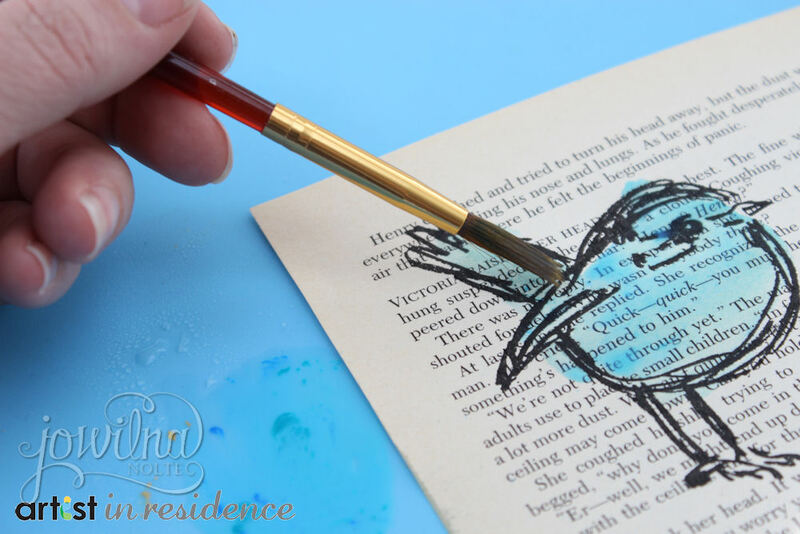 Mist the glaze with water and then pick up both colors at the same time and paint the image using both colors. The colors mix together beautifully and creates a stunning effect. 4. 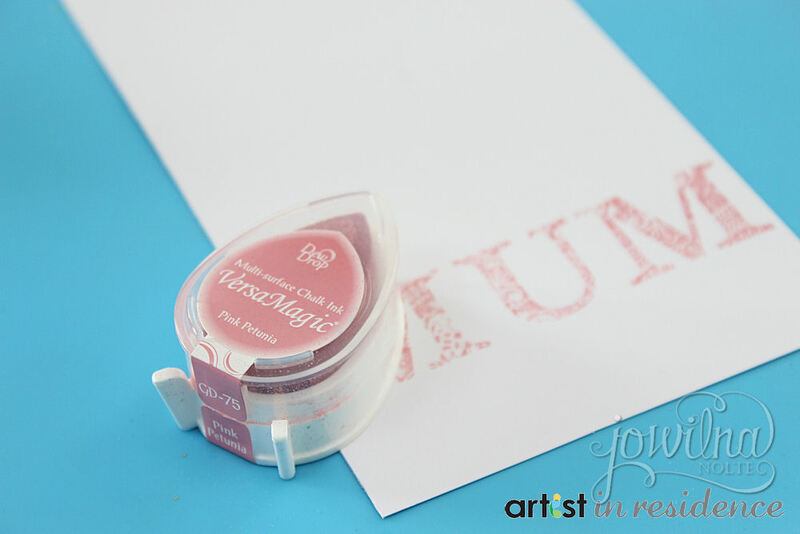 On smooth white cardstock stamp the word MUM in Pink Petunia VersaMagic ink. 5. 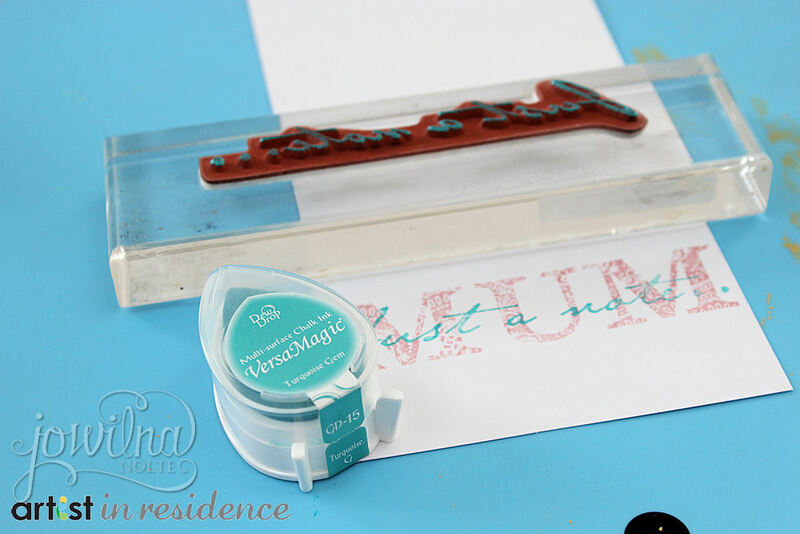 Ink a second sentiment using Turquoise Gem VersaMagic ink and stamp over the MUM word. 6. Create a folded card measuring 5x5 inches. 7. Cut a strip of patterned paper 5x2 inches and adhere to the bottom of the folded card. 8. Add machine sewing around the edges of the patterned paper strip. 9. Cut out the bird and adhere it to the front of the card. 10. Add the stamped sentiment and add sewing around the edges. 11. Finish off the card with a stamped heart and diamante.